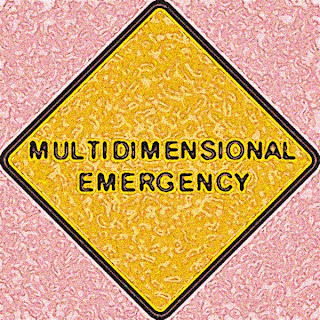 A multidimensional emergency can be described as a situation in which our ego identity and conditioned perception of reality falls apart, unveiling what exists beyond our separated reality. It is about releasing the dream of separation and waking up to a new reality, in which we retrieve hidden and denied parts of whom we are. This can either be a most blissful experience or, as it seems to be more often the case, a most devastating one. 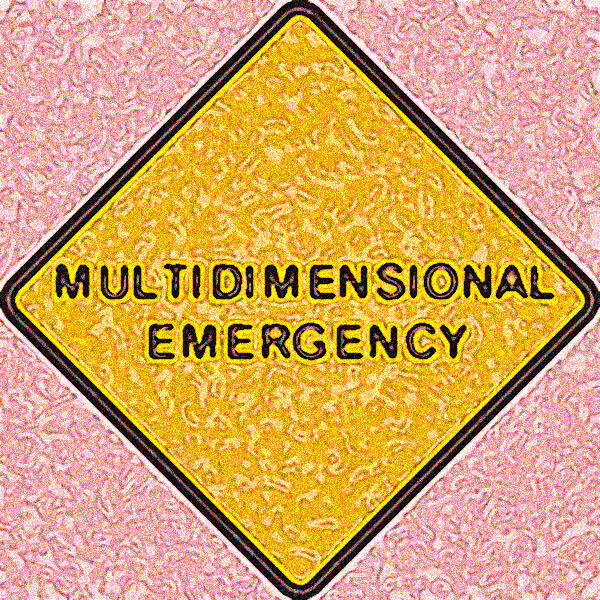 When there is a multidimensional emergency, you cannot take any physical, emotional or mental luggage with you. This is the training. The voyage is both collective and individual. We release the collective attachment to separation, and when we do so we are apparently alone. It is an individual journey, a most confusing and misleading one, for although we appear to be alone we are indeed all truly united. Please be aware, I am not talking here about the apocalypse, or end of the world. People leave the world at all times, and they do so when they die. Although consensus reality does its best to forget this, you know that it will happen to you, as it has happened to all those who are not here anymore. Then you are confronted with the opportunity of moving into another level, giving shape to your intention, no matter what apparently seems to go on or what the rest of the world is doing. You may need to find new brothers and sisters who understand this, who do not form relationships with you out of fear and denial, who truly love you unconditionally and, as a result, will gently let you go and you will gently let go of them. Make sure that all your connections comply with the above, and if they don’t, if you truly love them, let them gently and lovingly go, or learn to do so. If you are afraid to do this, deeply explore where that fear comes from. You can postpone the fear for a while, yet if you are aware it will inevitably return and this will be fatal at a certain stage unless you take precautions before. We are all together in this venture, and there is abundant help from brothers and sisters on the path. If you need help, take a risk and find those who can support you, who accept you unconditionally, who are not afraid of your fears and pain, who are on the same journey. Yet, also be aware that these people may leave you, that you may feel betrayed and hurt by them. Please accept this as part of your training. Bless all you meet, and be extremely grateful for any gift you receive. There are abundant people from whom you can receive gifts, just as there abundant people to whom you can offer gifts. There are many people, just look around, and perhaps you and I are some of them. 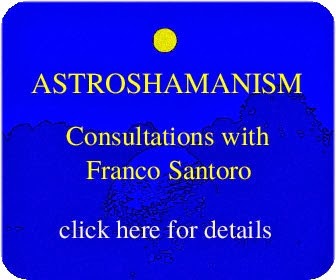 © 2012 Franco Santoro, info@astroshamanism.org. All rights reserved. For details on individuals consultations with Franco Santoro please click here. For details on programmes with Franco Santoro, please click here.